April Bloomfield’s Hearth & Hound closed on Saturday night, ending a short first foray into Los Angeles for the chef. The restaurant opened in December, 2017, a few days before the New York Times published its report about alleged sexual harassment by then co-owner Ken Friedman. A month after the restaurant opened, the late, great restaurant critic Jonathan Gold reviewed it, praising Bloomfield as a “wonderful chef” while grappling with the issues of the allegations against Friedman. In June, Bloomfield bought Friedman out as they divided up the businesses they once ran together. A reason for the closure was not given. Dear friends and beloved diners, It’s with a heavy heart I announce that The Hearth and Hound will serve its last supper tonight. I am so very grateful for the hard work and dedication from everyone on my team over the last 15 months. I’m so proud of what we accomplished in our short time. I thank our guests, friends and supporters for the warm welcome during a tumultuous last year. I love LA and hope that one day to cook here again soon. The news of the restaurant’s closure was first announced on the restaurant’s Instagram in a note from Bloomfield, in which she wrote, “I love LA and hope that one day to cook here again soon [sic].” She declined to comment to a New York Times reporter who approached her during dinner service, during which she was cooking, and did not give a reason for the restaurant’s closure. The paper reports that Hearth & Hound was packed that night. Bloomfield and Friedman reportedly spent years and millions of dollars on the space, which was once a pub called the Cat and Fiddle. 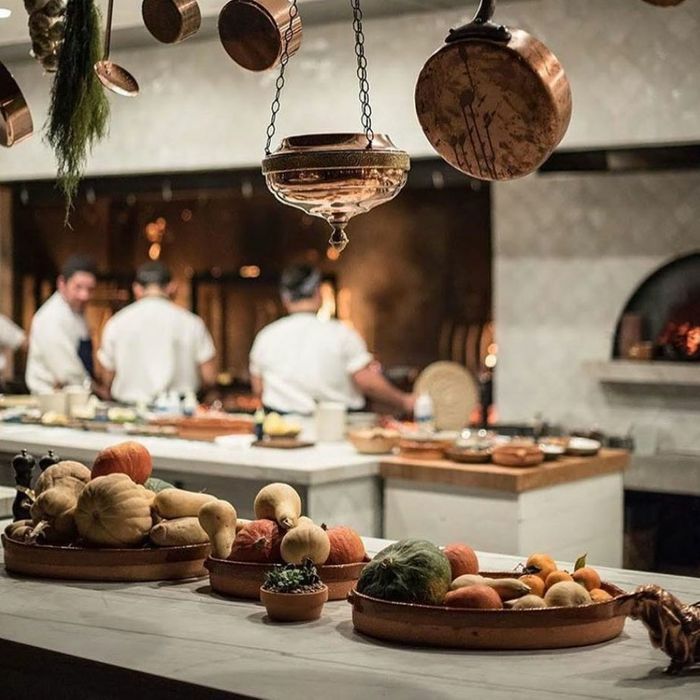 It’s unclear what is next for it or for the chef, who moved to L.A. for Hearth & Hound. Bloomfield’s Tosca Cafe in San Francisco and the John Dory Oyster Bar and the Breslin in New York remain open. As does the Spotted Pig, which Friedman still owns and where many of the allegations against him originated. This New Luxury Sushi Den Might Actually Be Worth It In a city overrun with high-priced omakase options, Noda manages to stand out. restaurant power rankings Yesterday at 12:05 p.m.
the grub street diet Yesterday at 8:00 a.m.
underground gourmet quick bite 4/15/2019 at 2:30 p.m.
Cult Coffee Shop Abraço Is Now a Nimble Little Vermouth and Cocktail Bar to Boot The bustling East Village social center has added evening hours, tasty new nighttime snacks, and some juicy wine on tap. controversies 4/15/2019 at 2:03 p.m.
Christina Tosi and Milk Bar Will Rename Their ‘Crack Pie’ The bakery chain is tweaking one of its most famous items. snacks 4/15/2019 at 12:43 p.m.
Nets Arena Serves Some of America’s Best Popcorn, Says Steph Curry The NBA guard, and noted popcorn authority, ranks Barclays Center second on his popcorn power rankings. gallery 4/14/2019 at 9:00 p.m.
Chatting With the Singers at the Reopened Winnie’s The karaoke dive is back in a new space on East Broadway with shiny red booths, a retro-looking mic, and an updated computerized karaoke system. q&a 4/12/2019 at 1:29 p.m.
Why Everyone Should Care About the L.A. Times’ Brand-new Food Section Editor Peter Meehan on Jonathan Gold’s legacy, Lucky Peach‘s influence, and beefing with Bon Appétit. recommended by experts 4/12/2019 at 12:32 p.m. The Best Balsamic Vinegars, According to People Who Use a Lot of It Food writers and vinegar importers gave us their recommendations for the best balsamics for dressing, marinating, glazing, and drizzling on ice cream.